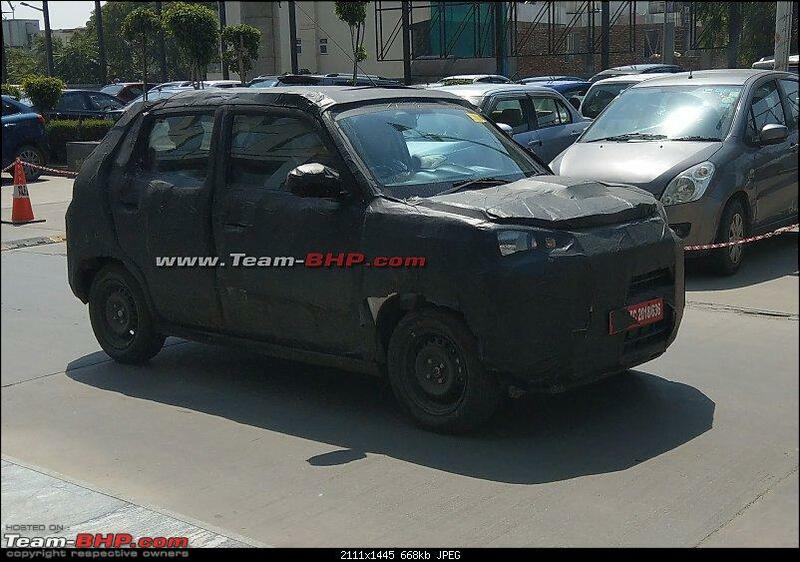 Maruti Suzuki’s upcoming micro-SUV has been caught testing in Gurgaon by team-bhp member Hitanshu Gandhi. The car, which is likely to be based on the Concept Future-S is rumoured to replace the Alto. The spy images suggest that the micro-SUV is likely to borrow styling cues from the Concept Future-S. It appears to have a high stance with wraparound headlamps and rectangular tail lamp clusters. The car has short front and rear overhangs and a raked rear windshield. The new model is likely to be based on the WagonR’s Heartect-A platform. Given its positioning in the market, the new micro-SUV could be offered with a 1.0-litre petrol engine paired with a 5-speed manual transmission and an optional AMT. It is expected to get all the mandatory safety features such as ABS, driver side airbag, rear parking sensors, seatbelt reminder and an audible high-speed warning as standard. Maruti Suzuki’s Concept Future-S based car is expected to compete with the Renault Kwid in the Indian market.